Our single-layer 12 mm Baltic birch spring platform uses (25 per 5x5 panel) 4” long x 2” diameter power springs with a snap-in-place plastic spring retainer and protective plastic floor cap. 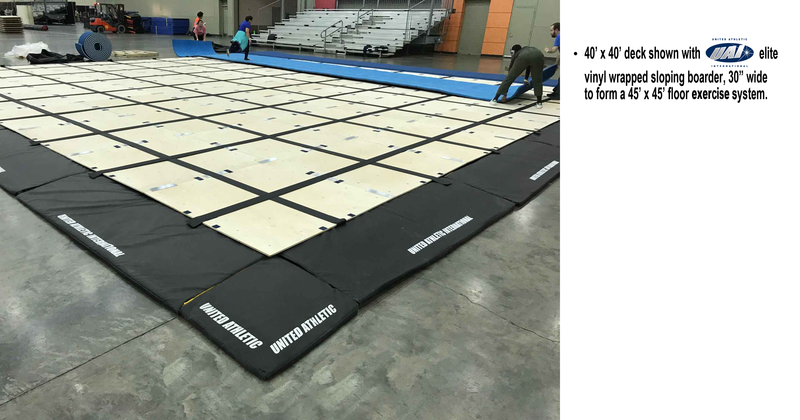 The floor floats exceptionally well and provides great rigidity via our aluminum H-plate connecting system and 4” wide Velcro connector overlay. 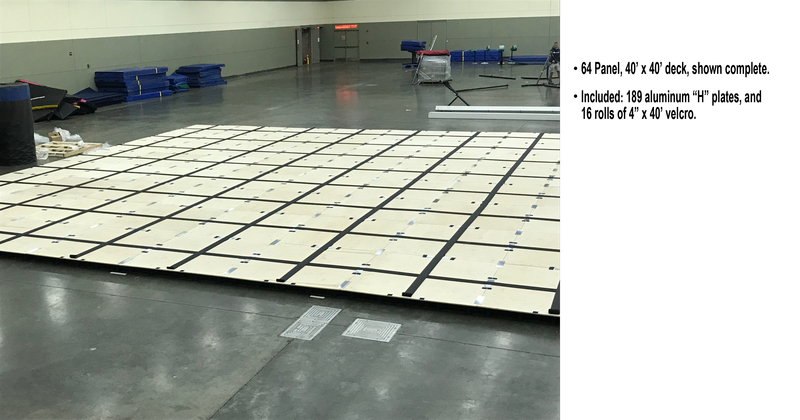 The typical platform size is 40’ x 40’,but is available in 42’ x 42’ and custom sizes as well. This platform can be purchased in completely ready-to-go sections or as a kit.